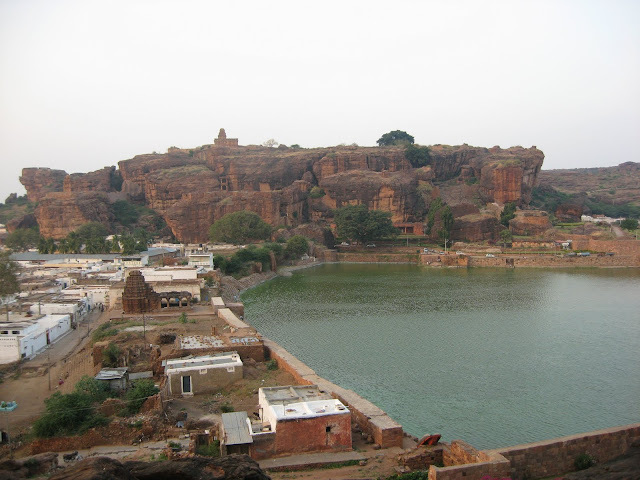 Badami was the capital of the early Chalukyas, from the 6th to the 8th century AD. The city was then known as Vatapi. The name came from the legend of Sage Agasthya who destroyed the demons Vatapi and Ilvala here. As the story goes, Vatapi and Ilvala were demon brothers. Vatapi had a boon from the gods that no matter how many pieces his body was cut into, when called, they would join and he would be whole and alive. Taking advantage of this, the brothers tricked all sages who passed by their region. They would invite them for a feast, an invitation which could not be refused. Then Vatapi would turn into a ram and Ilvala would cut him up and serve him to the guests (in those days, even sages ate meat). Once the sage had eaten, Ilvala would call out to his brother, and Vatapi would emerge from the bowels of the sage, whole, killing the sage in the process. When the sage Agasthya arrived on the scene, they tried the same trick on him. However, Agasthya was among the greatest of sages and could not be tricked. As soon as he completed his meal, he rubbed his full stomach and said, “Vatapi, be digested!” at which command, the individual pieces of Vatapi were at once digested, and no longer remained free to re-join! Ilvala as usual called out to Vatapi again and again but to no avail. The sage got angry when Ilvala tried to attack him, and killed him easily. 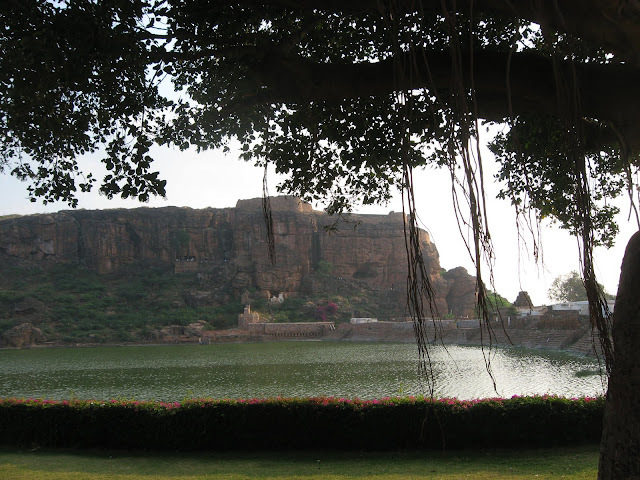 It is believed that the huge rocks which make up the mountains around city are the remains of the two demons. The lake amidst the mountains is believed to have been created by the sage, and is named after him as Agasthya Lake, or Agasthya Teertha. 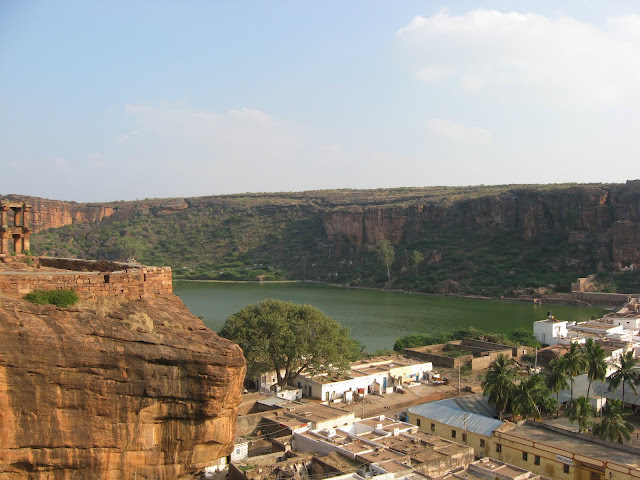 The modern name for the city, Badami, is believed to come from the rocky red sandstone outcrop which surrounds the city…. The red colour resembles that of almonds (badam). View of the city from the abandoned and ruined fort! Beautiful place and beautiful pictures. Thanks Vinay! Its a beautiful place! am sure u will love it! these fotos are quite stunning. i never knew there was this interesting place hidden in India. Great view..I would love to be there with my camera..! Nice captures Anu..! Thanks a lot! I hope you get to come and see them sometime! 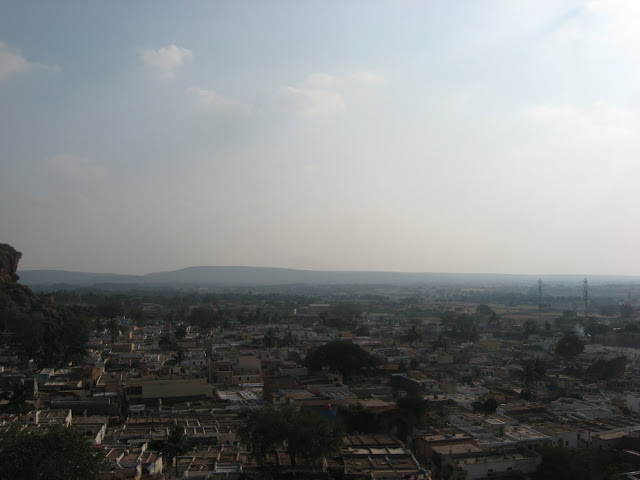 you would love the place, Sridharan! go sometime! 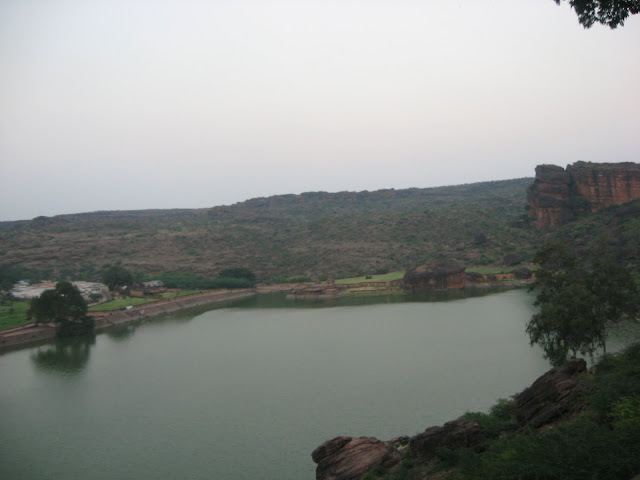 Thanks Srinidhi..... Arun's photos were what inspired me to combine Badami with my Hampi trip! I couldnt possibly go all that way and come back without visiting such a wonderful place!! you should go soon! Beautiful place! Interesting story, and the captures are terrific! No Umesh! it was terribly hot, which is why the glare makes the photos appear dull! Thanks Arti! you would love the place!